Although iPhone's built-in Photo App enables you to add filters, cropping, etc., you still can't merge/combine multiple photos together into on imgae. A best photo collage app feature can assist you in creating a tasteful combination of your favorite pictures of important events in your life and it will prevent you from posting too many pictures on your social media accounts. Feeling the urge to share the pictures you take with your iPhone is normal, and in this article, we will recommend the best photo collage apps on the App Store that will help you organize your photos and allow your friends to enjoy them more. Telling a story through pictures is a fun way to share your favorite iPhone photos with your friends and each free photo collage app for iPhone listed below will make this task much easier. The plethora of options provided by Diptic is going to impress you since each of the app's features helps you tell a better story with your photos. The collage apps for iPhone lets you combine up to nine different images in a single photo collage, and it also offers nearly 200 layouts. Some of the animated grids allow you to present each photo from a group separately, while the video adjustments feature lets you add music to video collages. 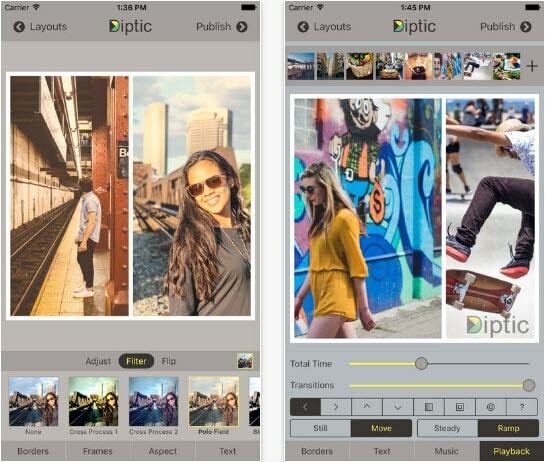 Even though the Diptic app can be downloaded for free, some in-app purchases are required if you want to use all features this app has to offer. 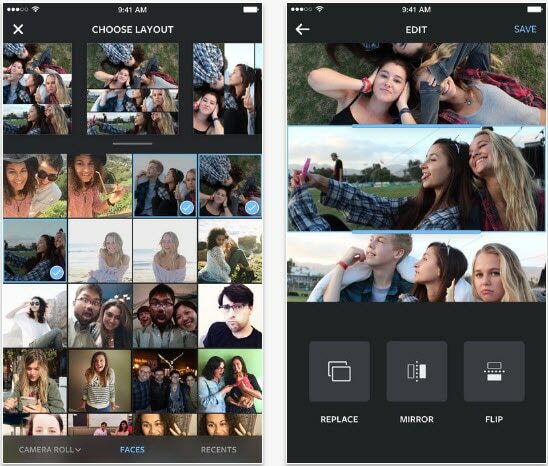 This free collage apps for iPhone allows its users to edit their photos in any way they want. 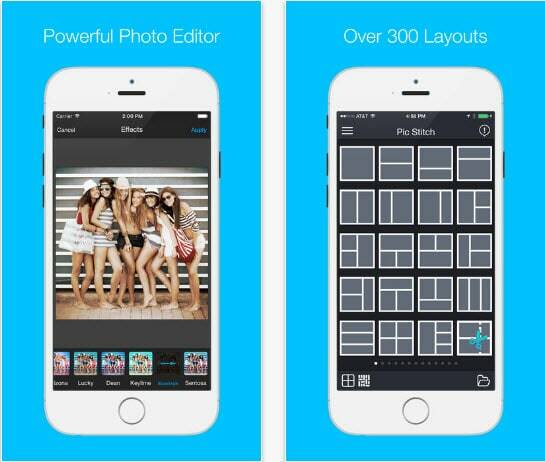 The app features over 180 filters, amazing photo editing tool and a Pro Camera that lets you capture videos and photos. MOLDIV app enables you to combine as many as 16 photos in a collage, while it also provides over 300 frames. The Magazine feature lets the app's users create collages that resemble a magazine cover with 135 layouts. You can select the aspect ratio or combine your iPhone photos in a FreeStyle mode if you'd like to create a unique collage your friends will adore. Creating amazing best photo collage with this free iPhone app is easy because it provides a nearly unlimited amount of layouts. You can use rectangles, hearts, circles or even mixed shapes to tell compelling stories with your photos. Before you create a collage, you can add filters, stickers, frames or borders to your photos in order to make them look more fun. The Cut-Out tool can be utilized to cut parts of a picture and add them to another photo, while over 400 fonts and text bubbles allow you to add text to your iPhone photos. Some in-app purchases may be necessary if you want to explore every feature this iPhone photo editing app has to offer. Passionate Instagrammers are going to love using this iPhone photo collage app, simply because it broadens the list of things that can be done with photos on Instagram. 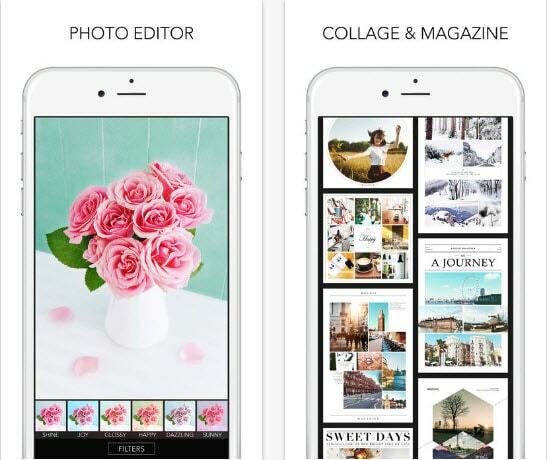 iPhone owners who choose to download this free collage app can combine nine images by using elegant layouts and photo grids the app provides. Furthermore, the Photo Booth mode lets you snap quick photos in various situations, while the Faces tab allows you to easily organize and locate pictures which depict people. Besides providing a quick and easy way to create Instagram posts, the app also lets you save your creations to the camera roll in order to share them on other social media networks. 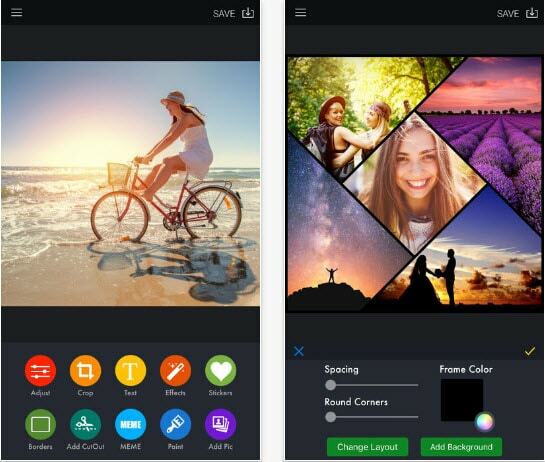 Besides being one of the most powerful photo collage apps for iPhone, PicsArt is also one of the best photo editing apps you can find at the App Store. Hundreds of free grid templates, templated collages and freestyle collages that allow you to arrange photos in any way you want are available in the Collage Maker and Grids mode. On the other hand, the best collage app mode provides professional photo editing tools that will make each of your iPhone photos look like a masterpiece. The app can be downloaded for free, but cool effects and some more advanced features must be purchased. By making the decision to download this free collage app for iPhone, you will be joining millions of visual content creators who are already using this collage apps for iphone . The app provides over a thousand fully customizable frames and collage templates that will allow you to express your creativity freely. 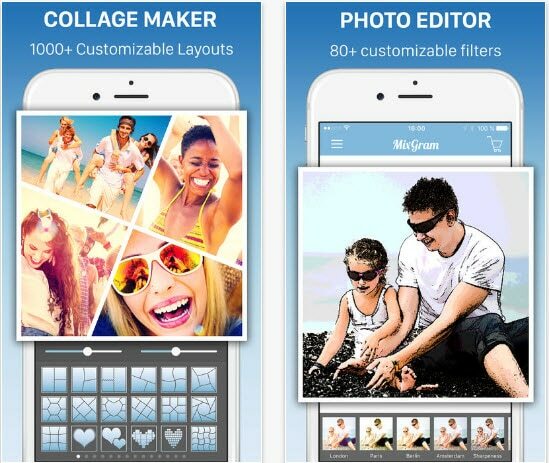 Mixagram also features a lot of different photo filters and effects, while its unique fonts let you caption photos or add text to every photo edited with this amazing app. Sharing photos directly from Mixagram to any social media platform is easy, and you can share collages you created with this app with your friends instantly. A quick look at this list of features Pic Stitch offers will leave you wondering if there is anything this iOS app can't do. 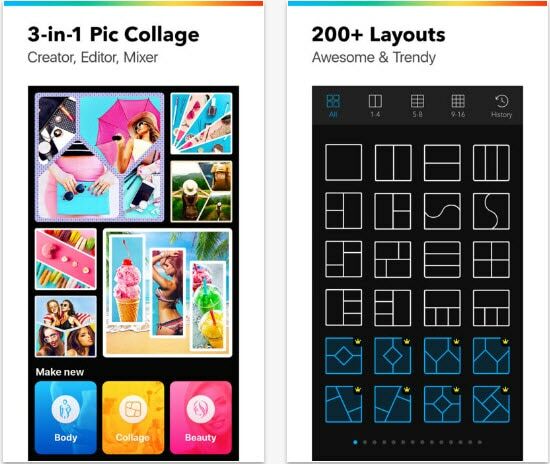 With over 300 different layouts, 15 aspect ratios and remarkable photo filters the app delivers all the tools you'll ever need to create an outstanding photo collage with your iPhone. Furthermore, Pic Stitch lets you work with both photos and videos, while it also provides the option to add music to your photo collages. The app is easy to use but it contains in-app purchases. Each photo collage app that lets you combine up to 25 images in a single frame must be amazing. Collageable lets you tell your photo stories with more than 300 different layouts and it is unbelievably fun and easy to use. 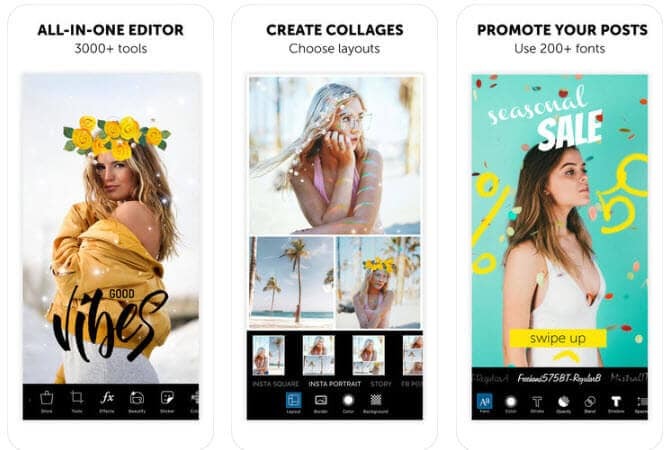 The app allows you to mix-match, rotate or rearrange freely the photos you want to include in a collage, while the features such frames, stickers or filters allow you create a special kind of atmosphere on each collage you create. Although you can download this app for free, some in-app purchases may improve the experience of creating a collage with Pic Jointer. 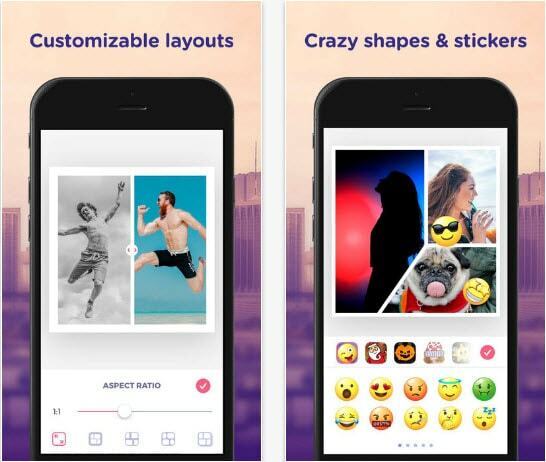 Besides offering more than a hundred stylish layouts which let you combine as many as 9 photos in a single frame, the app also provides countless stickers, handcrafted filters, and beautiful image backgrounds. Adding text to your photos is also a possibility because Pic Jointer features a collection of amazing fonts that will make your collages look even cooler. There is no doubt that PicCollage is one of the best photo collage apps for iPhone because it provides its users with a fun and easy ways to create amazingly beautiful collages from their iPhone photos. 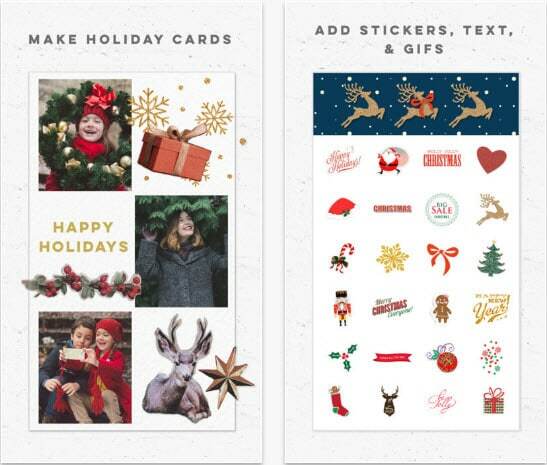 There are hundreds of layouts you can use, while the app also provides an instant photo grid for images on your iPhone, Instagram or Facebook. Adding text in your own handwriting is also an option, while every other feature offered by this app will allow you to unleash your creativity.